Volcanoes, glaciers, highlands, prairies, lava flows, fire, ice. Nature untouched and untamed. Resting on the boundary where the North American and Eurasian Tectonic plates meet, Iceland is a country of intense volcanic eruptions, boiling hot springs, rushing rivers, venting steam, spouting geysers, powerful waterfalls, ice caves, aqua blue lagoons, northern lights, and minimal sunshine. Most people live in Reykjavik, the capital, which has a population of only 338,378 and a median age of 38. 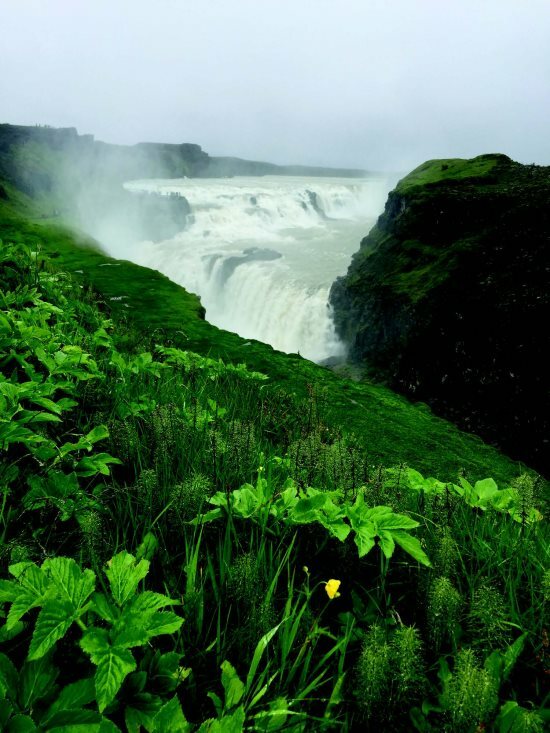 Iceland, a country of fierce contrasts, is geared for the rugged and the youthful. 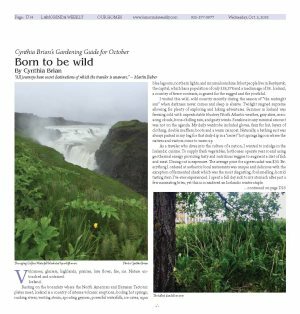 I visited this wild, wild country recently during the season of "the midnight sun" when darkness never comes and sleep is elusive. Twilight reigned supreme allowing for plenty of exploring and hiking adventures. 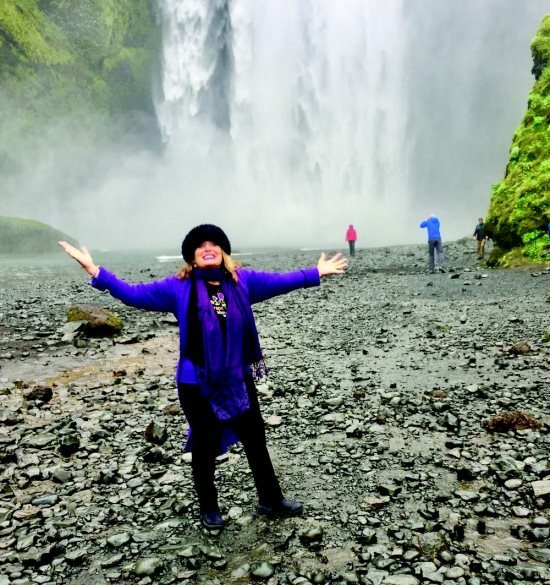 Summer in Iceland was freezing cold with unpredictable blustery North Atlantic weather, gray skies, menacing clouds, bone-chilling rain, and gusty winds. Sunshine in any minimal amount was not on the agenda. My daily wardrobe included gloves, faux fur hat, layers of clothing, double mufflers, boots and a warm raincoat. Naturally, a bathing suit was always packed in my bag for that daily dip in a "secret" hot springs lagoon where the natives and visitors come to warm up. As a traveler who dives into the culture of a nation, I wanted to indulge in the Icelandic cuisine. To supply fresh vegetables, hothouses operate year round using geothermal energy providing tasty and nutritious veggies to augment a diet of fish and meat. Dining out is expensive. The average price for a green salad was $30. Everything I ordered at authentic local restaurants was unique and delicious with the exception of fermented shark which was the most disgusting, foul smelling, horrid tasting item I've ever experienced. I spent a full day sick to my stomach after just a few nauseating bites, yet this is considered an Icelandic winter staple. 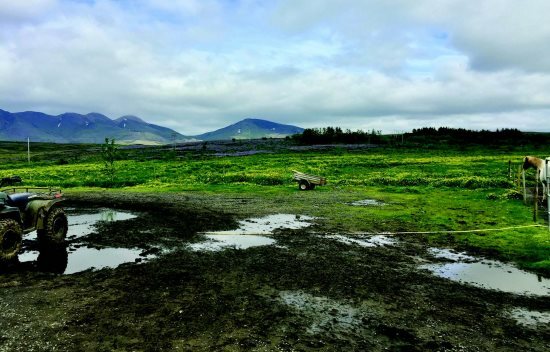 What interested me most was the ever-changing unique landscape on this small isle bordering the Arctic Circle. I was mesmerized by the plethora of wildflowers, grasses, and moss carpeting the island. Flowers sprouted in the cracks of lava flows, spilled down the sides of volcanoes, and grew on the edges of the glaciers. While riding Icelandic horses (a small sturdy breed endemic to Iceland only) through the countryside, I saw miles and miles of blue lupines filling the fields as far as the eye could see. 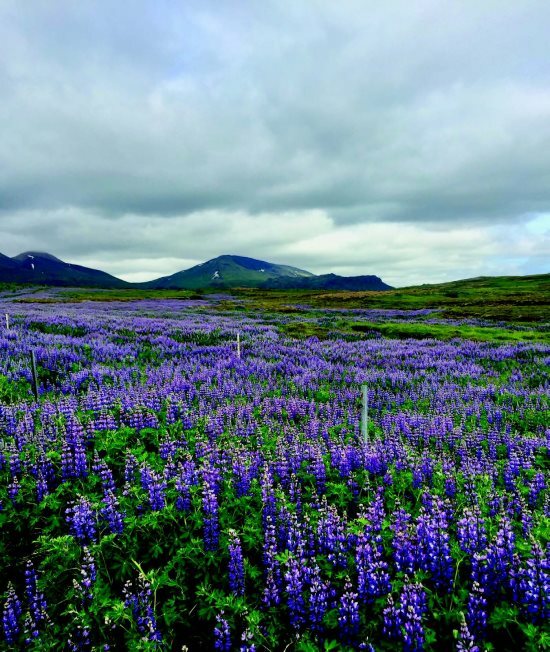 In the 1950s seeds from Alaskan lupines were scattered in a few regions of Iceland to help with erosion and soil improvement. They have now naturalized, much to the delight of visitors and the chagrin of the populace who have denoted lupines as invasive weeds that crowd out indigenous plants and stunt the growth of hungry sheep. 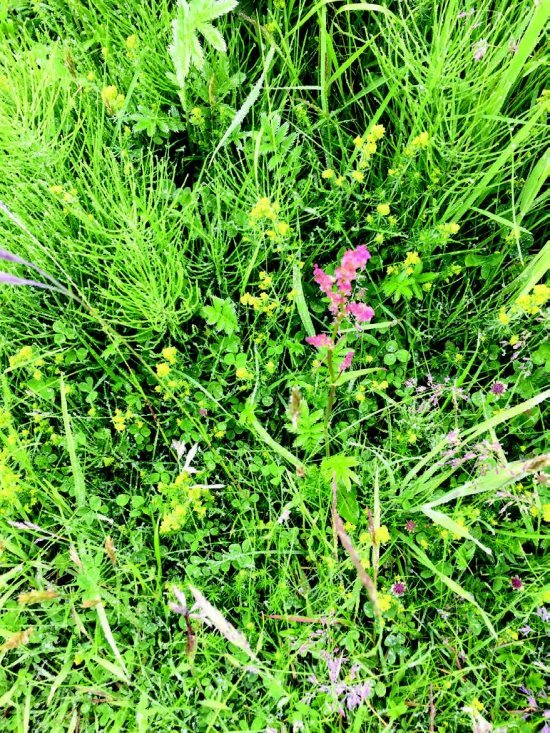 Acres of buttercups, wild perennial sweet pea, angelica, mustard, hawkweed, lady smock, Arctic sea rocket, meadowsweet, wild strawberry, gentian, Lady's mantle, marsh marigold, cornflower, yarrow, violets, and Iceland poppy hugged the ground. 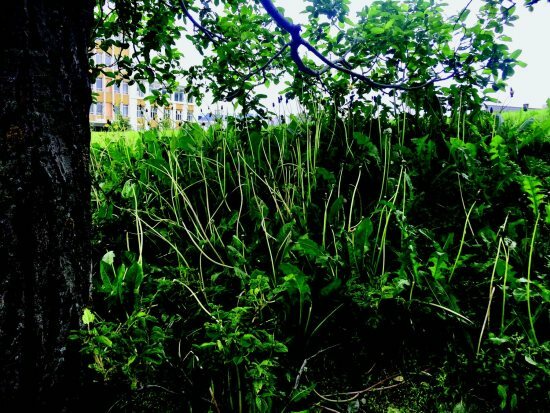 The dandelions grew to almost two feet tall and are harvested as a nourishing edible. Lichen and moss covered the fields of lava. 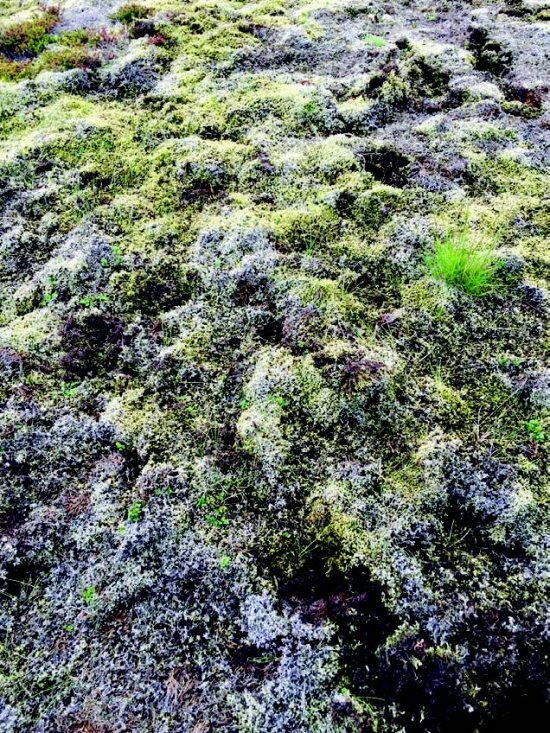 The treasured Icelandic moss is said to be so delicate that a single footprint will take a hundred years to regenerate. Autumn is an auspicious time to sow wildflower seeds in America. What makes a flower a wildflower? Basically, wildflowers grow happily without any human cultivation. They live and thrive within an interactive plant community. Many wildflowers are native to a certain region and when they freely reproduce in another area, they have naturalized. Sow seeds directly into the ground or into containers. Make sure seeds are protected from winter chills and marauding birds. 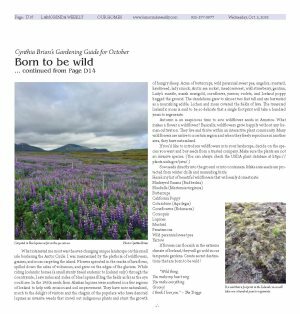 If flowers can flourish in the extreme climate of Iceland, they will go wild in our temperate gardens. Create secret destinations that are born to be wild! DISCOUNTED grass seed. October is the month to plant or refurbish your lawn. Since my favorite lawn seed is not sold in California, I have arranged for a special discount for my clients, readers, and radio listeners. Save 20 percent on Grass seed through Oct. 10, with code STAR20. Enjoy! 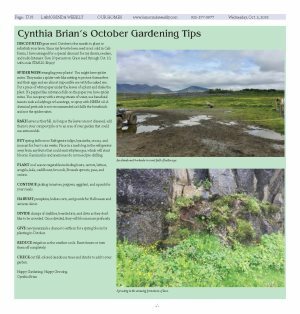 SPIDER WEBS strangling your plants? You might have spider mites. They make a spider web-like netting to protect themselves and their eggs and are almost impossible see with the naked eye. Put a piece of white paper under the leaves of a plant and shake the plant. If a pepper like substance falls on the paper you have spider mites. You can spray with a strong stream of water, use beneficial insects such as ladybugs or lacewings, or spray with NEEM oil. A chemical pesticide is not recommended as it kills the beneficials and not the spider mites. RAKE leaves as they fall. As long as the leaves are not diseased, add them to your compost pile or to an area of your garden that could use extra mulch. BUY spring bulbs now. Refrigerate tulips, hyacinths, crocus, and muscari for four to six weeks. Place in a mesh bag in the refrigerator away from any fruits that could emit ethylene gas, which will stunt blooms. Ranunculus and anemones do not need pre-chilling. PLANT cool season vegetables including beets, carrots, lettuce, arugula, kale, cauliflower, broccoli, Brussels sprouts, peas, and onions. CONTINUE picking tomatoes, peppers, eggplant, and squash for your meals. HARVEST pumpkins, Indian corn, and gourds for Halloween and autumn décor. DIVIDE clumps of daylilies, bearded iris, and clivia as they don't like to be crowded. Once divided, they will bloom more profusely. GIVE new perennials a chance to settle in for a spring bloom by planting in October. REDUCE irrigation as the weather cools. Reset timers or turn them off completely. CHECK out fall colored deciduous trees and shrubs to add to your garden. 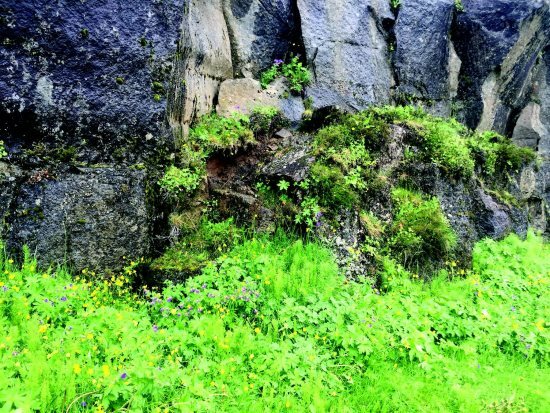 It is said that a footprint in the Icelandic moss will take over a hundred years to regenerate. An abandoned 4-wheeler in a wet field of buttercups. Sprouting in the amazing formations of lava. A variety of tiny blooms, including clover.